The Galaxy Tab Active 2 was released as an affordable rugged tablet last year in select markets. It ran Nougat out of the box, and a subsequent launch in the US a few months later didn’t bring Oreo with it. 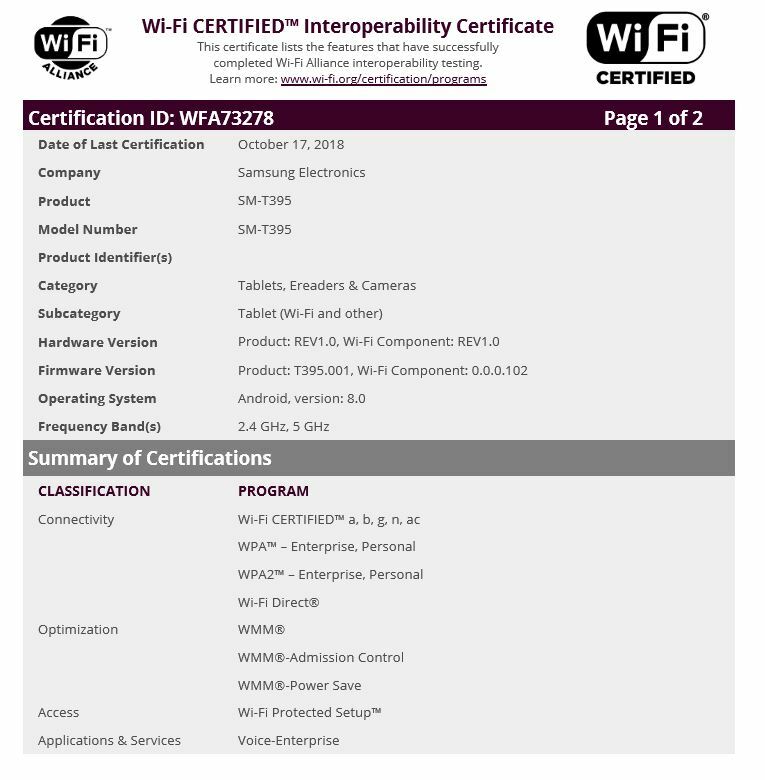 But the Oreo update now looks to be around the corner, as revealed by fresh certifications received by the tablet at the Wi-Fi Alliance. The Galaxy Tab Active 2 has been certified with Android 8.0 Oreo earlier this week. Both the Wi-Fi (SM-T390) and LTE (SM-T395) models have been certified, in addition to some country-specific variants. As usual, a Wi-Fi certification does not mean the official update will come out right away, but it’s generally a good sign that the update won’t be too far off. Samsung has released Oreo for most of its popular mid-range and budget phones in recent weeks, so the company can now focus on the Tab Active 2 and other not-so-widely available devices. As for Android Pie, Samsung will soon kick off a beta program for the Galaxy S9. Pie is unlikely to arrive as an official update this year, although Samsung France did suggest a January release.